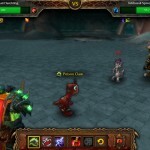 What is an autism awareness page doing on a Warcraft gold making blog? Very simply, because The Gold Queen is autistic. Autism is described as a neurological development disability. It affects me a lot so I wrote this page to explain that to you. Autism is a lifelong condition and there is no cure. 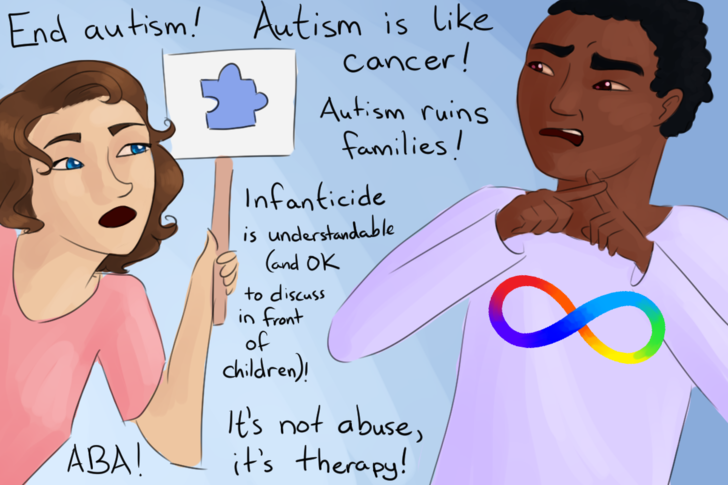 Wishing that an autistic person be cured is equivalent to wishing that they disappear and another completely different person exist in their place. Autism is nothing to do with vaccines. High functioning / low functioning is a very crude and unreliable way to distinguish between the amount of support needs that autistic people have. Someone who is “low functioning” is typically seen as having learning disabilities, challenging behaviour, and inability to relate to other people. While those who are called “high functioning” are lauded for having a high IQ, but being a bit dorky or clumsy or odd. The functioning label is used mostly to dismiss autistic people rather than help them. High functioning autistics are wrongly dismissed as “not deserving support” because they manage on their own. Low functioning autistics are wrongly dismissed as “needing too much support and being a drain on society”. 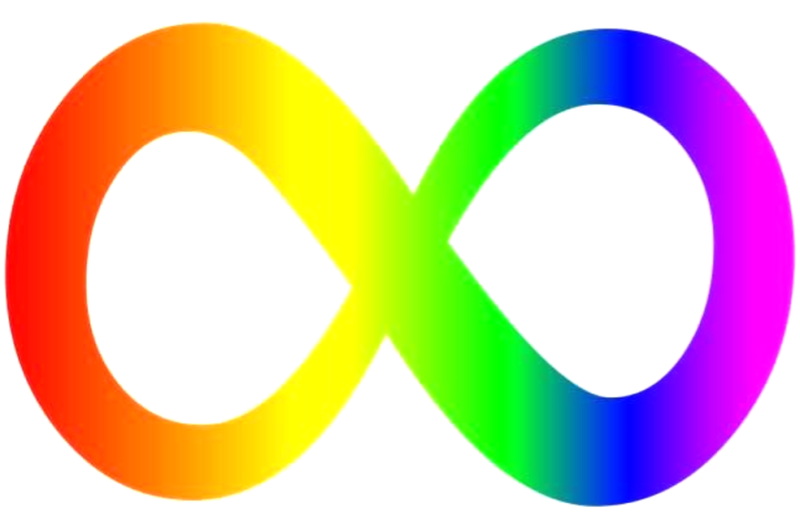 In reality, the spectrum is indeed a spectrum, with every autistic person needing support. The amount of support changes in every autistic person. Sometimes I can be non-verbal. Sometimes, I wish desperately to stim or to avoid social contact, but I can’t. Some of my senses are hyper sensitive, some are under sensitive. While I seem perfectly capable of speech to an outsider, my communication is still impaired. I still don’t understand nuance, sarcasm, metaphors, unless they are specifically studied by myself. I have to study a lot. 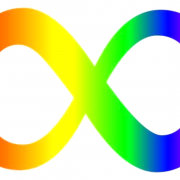 Neurodiversity means that diversity in neurological conditions, primarily Autism, ADHD, dyslexia, dyspraxia, is a normal variation in the human genome, that the strength of humanity is in its diversity. (See also biodiversity.) This challenges the outdated assumption that autism is a disorder. 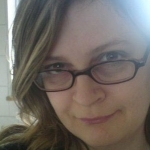 Autistic people request that we be allowed to live our lives as we are, rather than being coerced or forced to adopt uncritically accepted ideas of normality, or to conform to a clinical ideal. Forcing such leads to PTSD, Meltdowns, Shutdowns, and ultimately Autistic Regression. Not to be confused with neurotypical burnout, autistic burnout is deeper reaching. From the outside view, it looks a lot like severe depression, social anxiety and regression. For a neurotypical person, being burnt out on something means they can’t continue to do this thing temporarily. 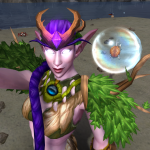 Serious Warcraft raiders often complain of burnout or have to cut back on their activities in order to still experience enjoyment or motivation. For an autistic person, burnout means they can’t use their brain to fit in and mask as a NT person any longer. We lose speech, we lose social understanding, we lose self care, we lose ability to plan or organise, everything is overwhelming. Autistic burnout is devastating, and is worse when we are shamed for it. I’ve experienced this myself when I have had regression and had to cut back on my work as The Gold Queen and was shamed by a reader who was disappointed that I wasn’t providing information for them at the same rate previously. This shame actually extended the burnout/regression period by months. Think of it like the arcane mage in warcraft with a mana burn and then an evocation mana regen phase. Misdiagnosed, misunderstood or missed altogether, autistic women struggle to get the help they need. Autism in women looks different than autism in men. We don’t know yet why that is, whether it’s social pressures/expectations, or whether a neurological difference. If you think you are autistic, start first with the AQ test. If you’re female, look at this list of traits and differences. Remember, these traits and “symptoms” can be experienced singularly by neurotypical people. Everyone gets anxious at some point. Everyone fusses over small details occasionally. 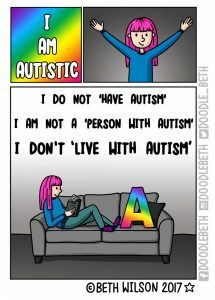 Having some of the symptoms does not mean you have autism. In the same way that having face blemishes does not mean you have measles. It’s when the traits are all occuring together that it’s worth looking at diagnosis. 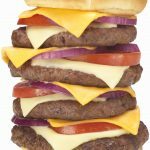 How does autism affect TGQ? I fail at communicating – communicating is not just speech or typing. I’m bad for Twitch and best at writing. I’m awful at chatting. Imagine every pleasant little chat with a friend is with a stranger. and you’re blindfolded, and someone keeps shoving candy in your mouth unexpectedly, and you’re being judged on your performance by your boss. It’s that level of awkward. It’s frustrating for me. Imagine you were the world’s best weather forecaster, and could predict the next day’s weather but your TV and broadcasting equipment didn’t work until the following week. I fail at executive function – planning, organising, preparing, starting and stopping things. Imagine it’s 2am, and you HAVE to post another 100 items on the Auction House or your brain will fry. You’re exhausted, you have to do things in the morning, but you can’t stop yet. I can be terrible at things that involve memory, and things that involve fine motor skills. For warcraft that means I stand in fire a lot. I am anxious, both generally, and socially. When you don’t understand things properly, and it could harm you, you’re naturally anxious. I suffer cycles of shutdown/burnout, then trying to make up for it by working too hard, and then burning out again. Suicidal. I have passive suicidal ideation. I’ve had this on and off most of my life, but it’s almost all the time since the attacks I suffered in 2011. A 2016 study in Sweden revealed suicide is a leading cause of premature death in people with autism spectrum disorder, while research from Coventry University in 2014 showed 66% of adults newly diagnosed with Asperger Syndrome reported having contemplated ending their own lives. People on the autism spectrum live an average of 18 fewer years than everyone else. Talking of crime, autistic people are four times more likely to be a victim of hate crime than other disabled people. We are bullied, spat at, laughed at, mocked, our disability is used as an insult, our young men are stolen from and defrauded by fake friends, our young women are raped. Most autistic children are bullied. Not just by strangers, but by friends and family also. I am likely to receive abuse just for writing this. If we are hospitalised, our genuine needs are ignored, and we’re seen as less deserving of care. Some of us die because of this. Employment. Only 16% of autistic adults in the UK are in full-time paid employment, and only 32% are in some kind of paid work. TGQ is my employment. 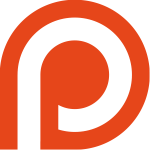 You can check my income over at Patreon. Clue: it’s not much. Isolation. I get lonely. Loneliness among autistic people is nearly four times higher than in the population as a whole: 41%, compared with 11% of the general population. Catastrophizing. When something unimportant gradually became more important until it overshadowed everything else in a negative way. When your brain can’t work out an answer it goes over and over the problem trying to find the solution, worrying more and more. Hyperempathy. Contrary to what you might have been told, autistic people are not without empathy. We just don’t display it in the way that NT people want us to. Personally, I’m so empathic that I can get myself worked up and upset about awful things that happen to other people who I haven’t even met. That’s not fun when you’re crying, again, over something you saw on TV news, or doing a happy dance because your ex boyfriend got married. People think I’m weird. Every single everyday social interaction requires the concentration and effort that a NT person would put into their most stressful social occasion, such as a job interview. As you can imagine, livestreaming is exhausting and very stressful, but writing guides on the blog is not. Twitter is also difficult, especially because I need to be seen to fit in, in order for my useful facts and guides to be taken seriously. That’s depressing. That’s why I get depression. That’s why I have a couple of friends (Amanda Sparkles and Joey the Gold Dragon) to help with blogging, and answering emails and twitter questions. I’m able to concentrate on a task for a long time. I can play warcraft all day every day! I can stand at a mailbox counting things, I can go to the Auction House and do activities that other people might find boring. They’re not boring to me. Loyalty. I value my friends highly. If I find a friend who understands me, or if I find a product that works well, I will stick to it, through thick and thin! Justice. With rigid black and white thinking, things are either right or wrong. And when something is wrong, its as baffling to me as someone telling me that cows are amphibians. They’re just not. They can’t be. I’m super into justice. I love people . I’m understanding and interested in the difficulties people face, for things that aren’t their fault. I totally understand this. We need more than awareness, we need more than tolerance, we need accessibility, and welcoming. For me, my autism also comes with a dose of Complex Post Traumatic Stress Disorder with Depersonalization as a “coping mechanism” for sensory overload and stress. I also have lots of the symptoms of classic Ehlers-Danlos Syndrome but I’m not pursuing a diagnosis. Stop using “autistic” as an insult. It hurts. 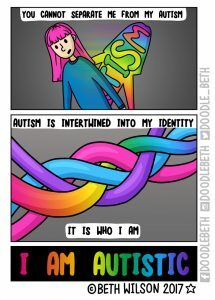 Replace austism stigma not with acceptance but with interest and welcoming. Do your own research into autism. My 11 year old son has Social Paagmatic Communication Disorder, which was explained to me as being what Asperger Syndrome was called. His doctor told me had I been able to get him tested the year before she would have placed him as having Asperger’s but she couldn’t any longer. I say “have” but it is just who he is and it has been a fight to get him the help he needs, it was a fight to get him tested. Thank you for your post. My son cannot communicate to me what goes on in his mind, like your post did. I can see him in it, and it helped with something I was still looking for the answers too. There are those of us out here that do accept with welcoming and interest. We love what you do and hope you can be as patient with yourself as you we can be with you. I too display various traits you describe there, and have been diagnosed therefore with Asperger’s Syndrome. You like myself seem to favour communication distanced from people, as in online. I have trouble “breaking the ice” in conversation when there isn’t some already familiar and common area of interest for me to talk about. When online I can do what I can’t face to face. So online gaming has been a huge thing for me, and not just for entertainment. I would just like to say thank you for what you do. I love this post, and I’m glad you made it.